A new era in Chevrolet motorsports starts today with the introduction of the Camaro ZL1 as the new race car for the Monster Energy NASCAR Cup Series. Seven-time Cup champion Jimmie Johnson — driver of the #48 Lowe’s Chevrolet for Hendrick Motorsports — joined Mark Reuss, executive vice president of GM Global Product Development, to reveal the new race car at Chevrolet’s headquarters in Detroit. The Camaro ZL1 will make its competition debut next February during Daytona Speedweeks, which kicks off the 2018 NASCAR season. 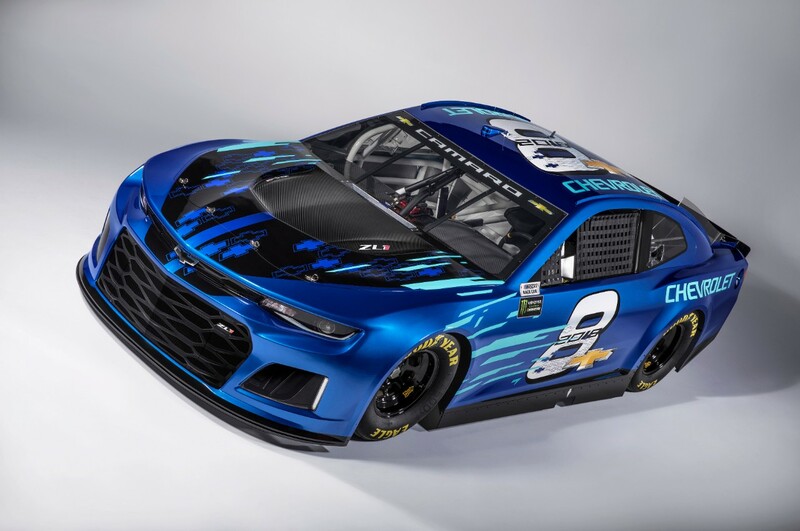 It will join the Camaro SS, which has been Chevrolet’s entry in the NASCAR XFINITY Series since 2013. Chevrolet engineers employed an array of tools, including computational fluid dynamics analysis and reduced-scale and full-scale wind-tunnel testing, to optimize aerodynamic performance while maintaining the ZL1’s design character. Joining Chevrolet today for the Camaro ZL1 race car’s debut were representatives from Hendrick Motorsports, Richard Childress Racing, Chip Ganassi Racing, Germain Racing, JTG Daugherty Racing and Leavine Family Racing. Chevrolet drivers have also achieved a record 30 Cup championships, including Jimmie Johnson in 2016.